1. High quality. Soft hair and wooden handle. 2. Suitable for wedding, party, daily life, T-stage or othe occasions makeup. 3. Apply for Blusher, Eye Shadow, Foundation, Concealer, Eyebrow, Lipgloss and so on. 4. 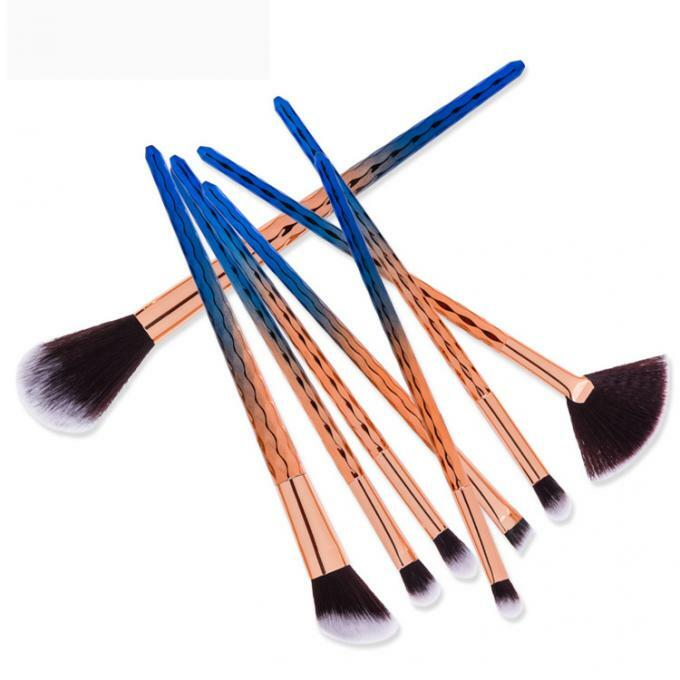 Full 8 different makeup brush for your whole makeup. 5. Very safe package. Opp Bag + Foam + Thick cardboard box. 7. We can do private label. 8. 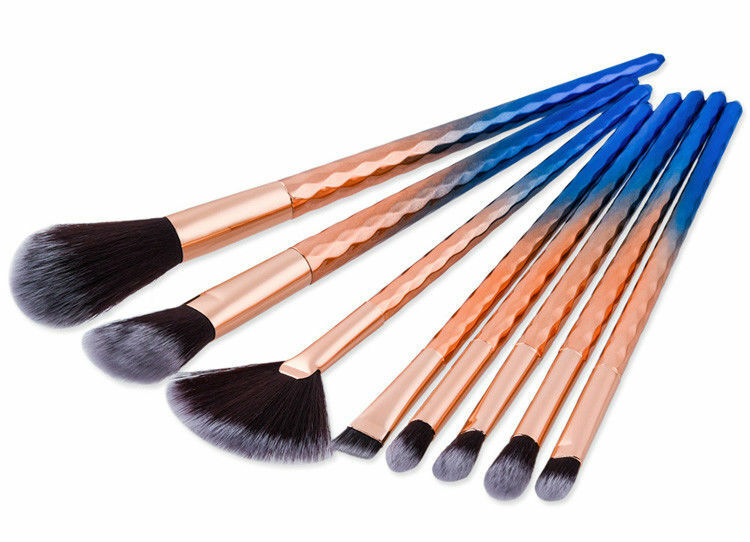 We can customize the brush that you want and you like. A: Usually, if u order the items those we have in stock, MOQ is 100pcs. If less than this quantity, pls contact with us. 2. Q: Which shipping way is available and how to track? 3. Q: What are your advantages in the competitive markets? 4. Q: How long can I get a customized sample? A: We need to spend about 15 days to make the sample after receiving your sampling cost. And by Express, about 3-5 working days to deliver. 5. Q: Can I buy several piece as the trial order? A: Yes, even though we do wholesale. But we can understand you need to order some samples to test the high quality. So it’s ok.
6, Q: What’s your typical delivery time? A: If you order the items we have in stock, we can send you within 5 working days. If you order the products need to customize, about 30-45 days to produce.